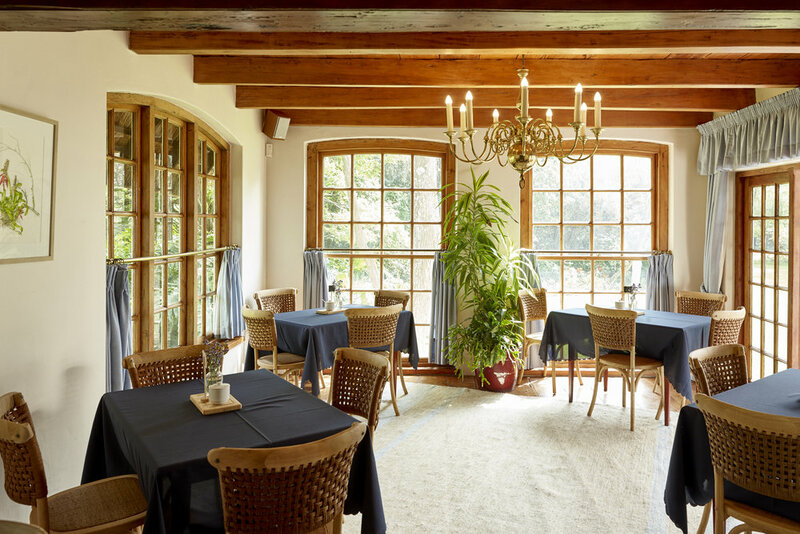 Five minutes from Sandton's business district and Sandton’s Gautrain, The Gables is an ideal location for an executive meeting, a small conference, an informal business lunch, or strategic workshop. More info below. Thank you so much for a great conference! We really enjoyed the personalised attention, the wonderfully equipped room and the superb food in such tranquil surroundings! Honeymoon suite with full? amenities/services. 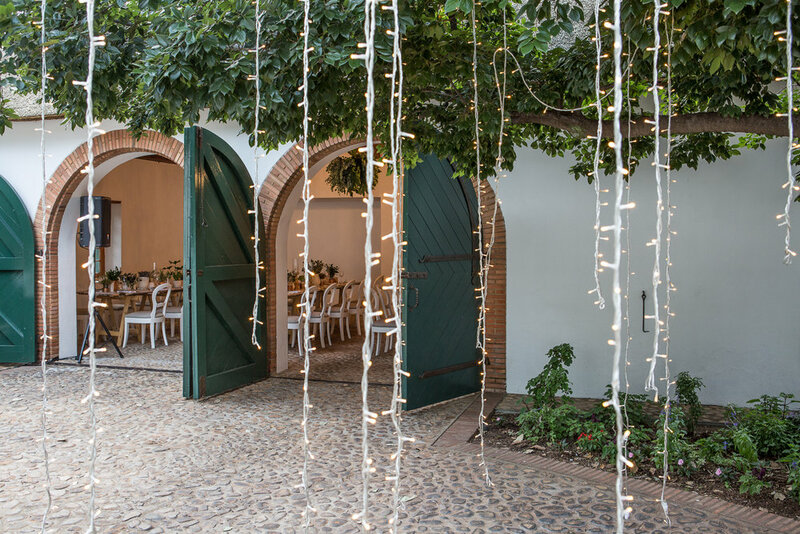 This rustic, cobble-stone paved venue adjacent to The Gables seats 60 people (70 standing) and can be hired for small wedding receptions, corporate lunches and early evening functions. Work with our decor and catering partners to plan a special event. Please note that The Barn is available for bookings Jan-end May, Sept-Dec.
Book the cafe for a birthday tea, baby shower, or other interest group event. Excellent coffees, freshly pressed juice, breakfasts and light lunches are on offer in an exquisite setting. Or enquire about a special high tea and lunch menu. Capacity: 20 - 40 people. 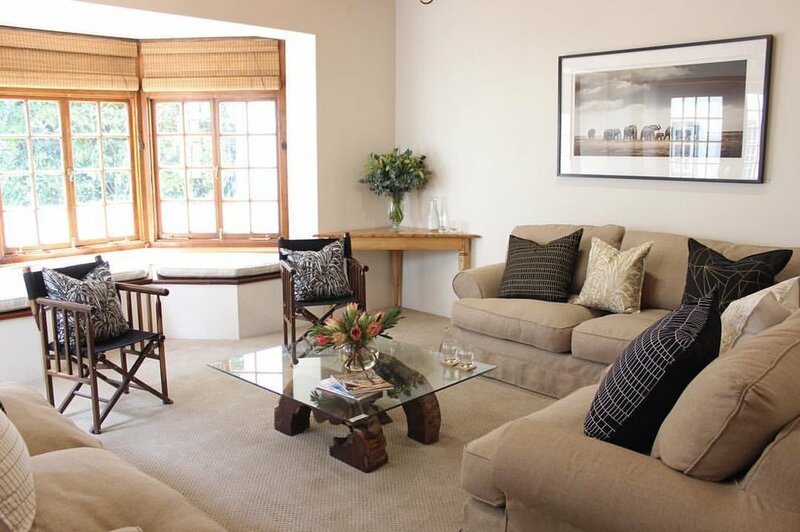 If you'd like to view our venues in person, kindly make an appointment so that we're able to prepare for your visit.